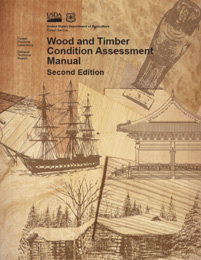 Two new reports, Nondestructive Evaluation of Wood, Second Edition and Wood and Timber Condition Assessment Manual, Second Edition, have been published by the Forest Products Laboratory. Every attendee will receive complimentary electronic and printed copies of these publications. – Laser scanning technologies for evaluation of historic, covered timber bridges. 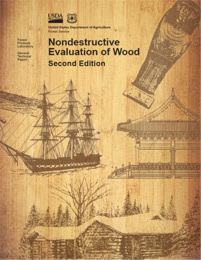 In addition, the chapter on mechanical grading methods for structural lumber has been updated, and two new appendixes contain digital copies of all proceedings from the International Nondestructive Testing and Evaluation of Wood Symposia Series—approximately 7,500 pages on the development and use of nondestructive testing and evaluation methods for wood, wood products, and wood structural systems. – New chapter addressing estimation of allowable properties for in-service wood. An example condition assessment report and summary reports from several interesting inspections are still included.